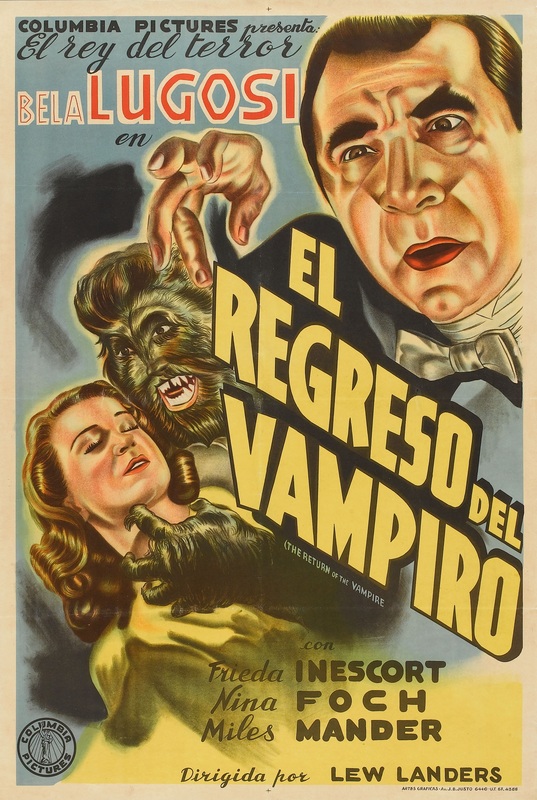 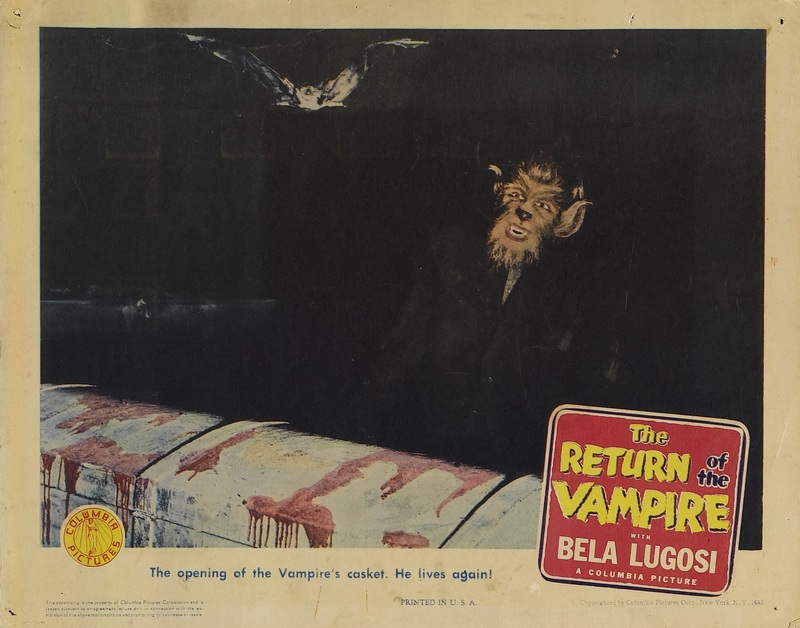 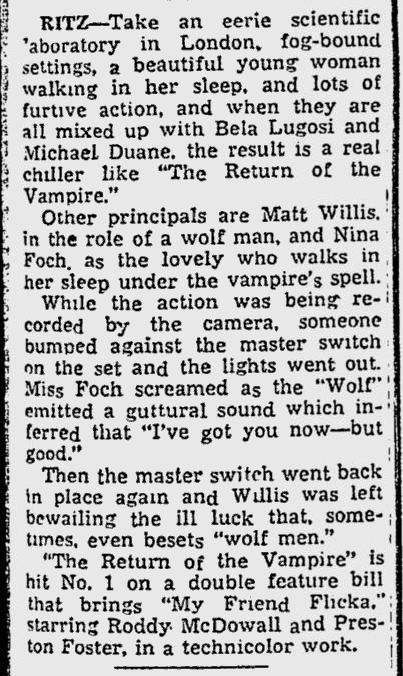 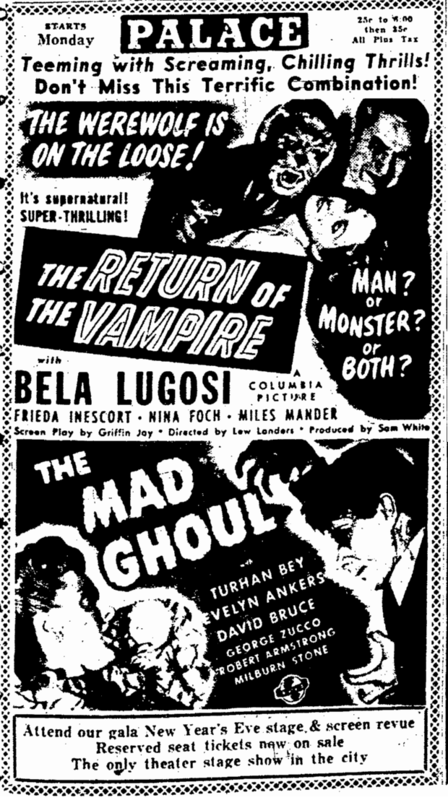 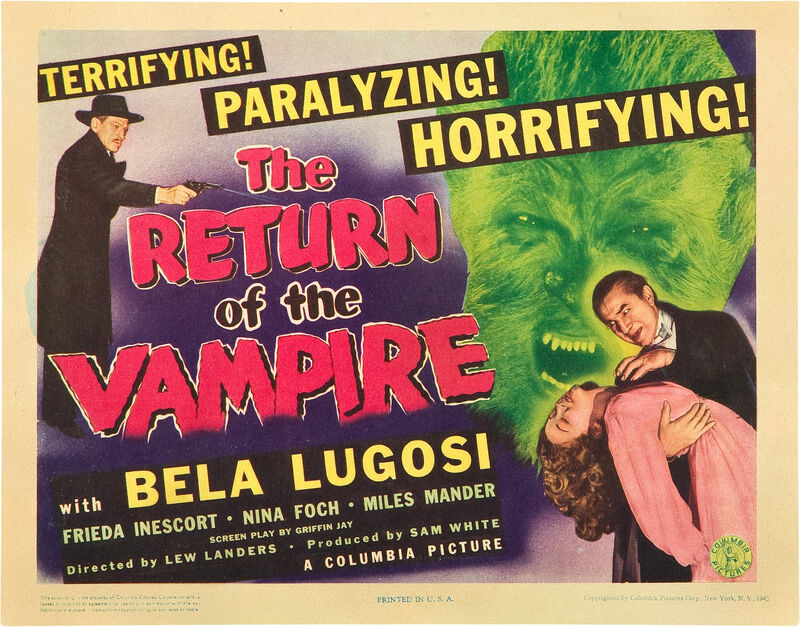 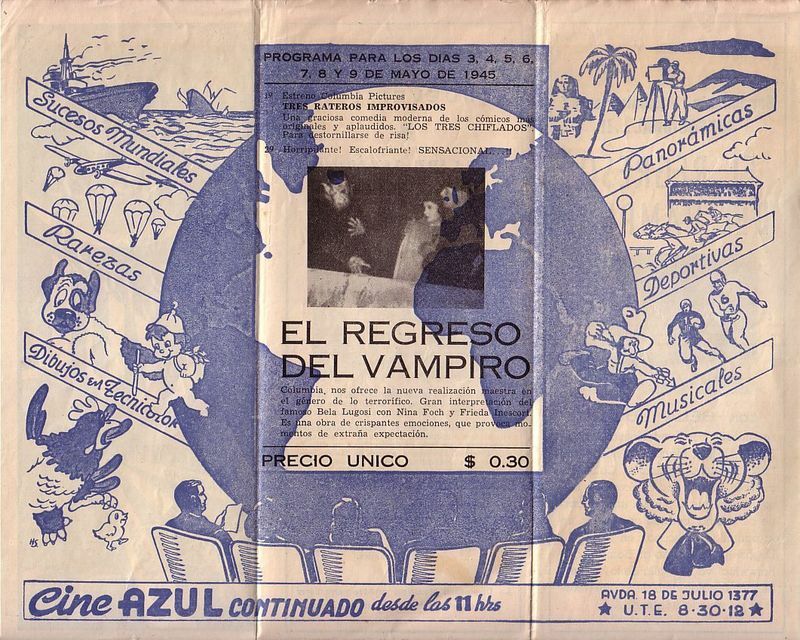 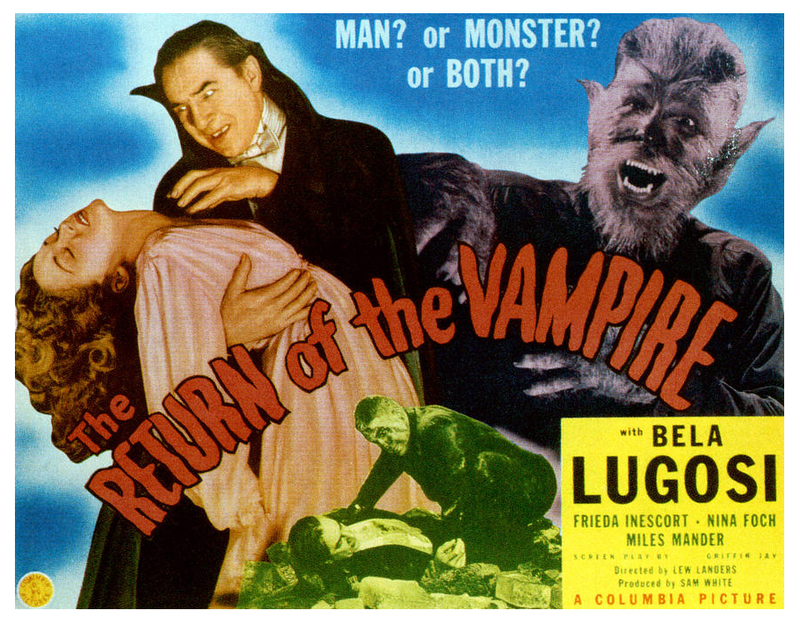 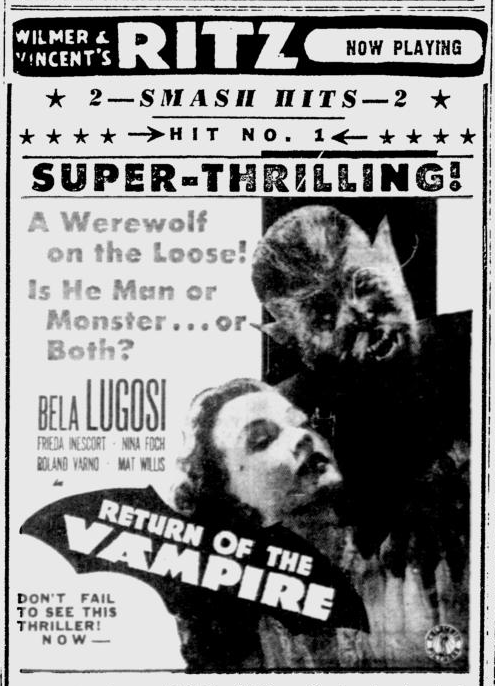 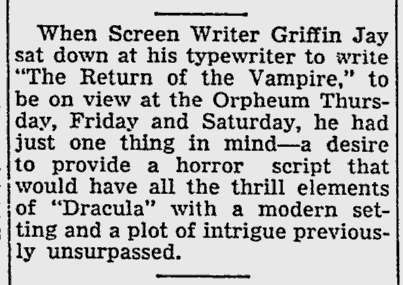 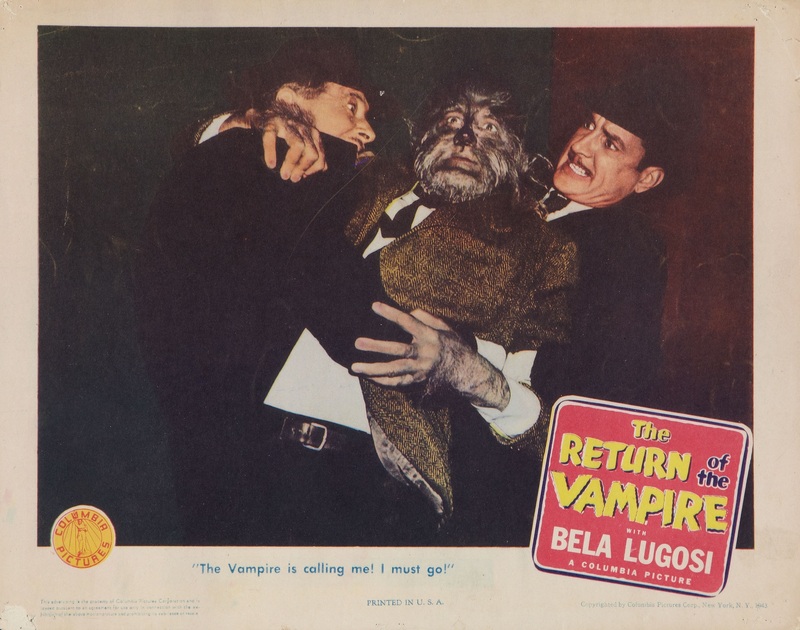 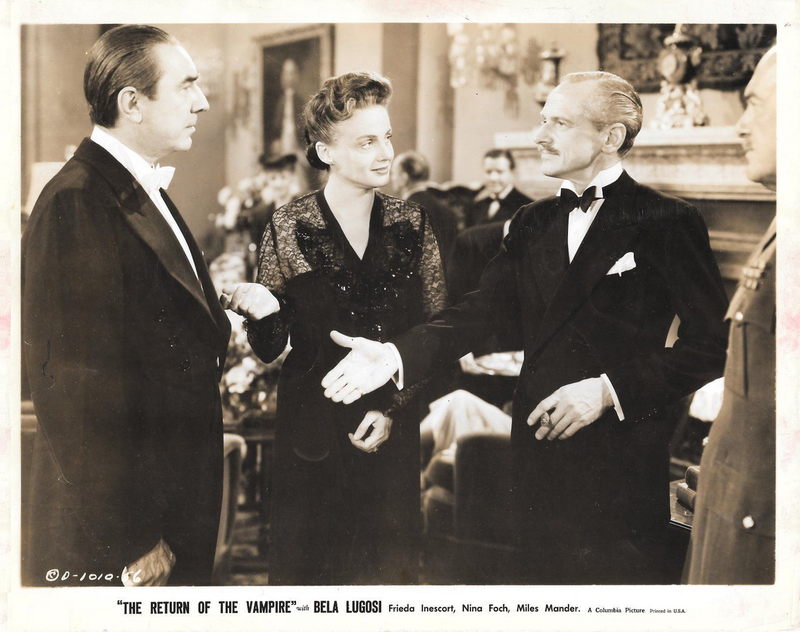 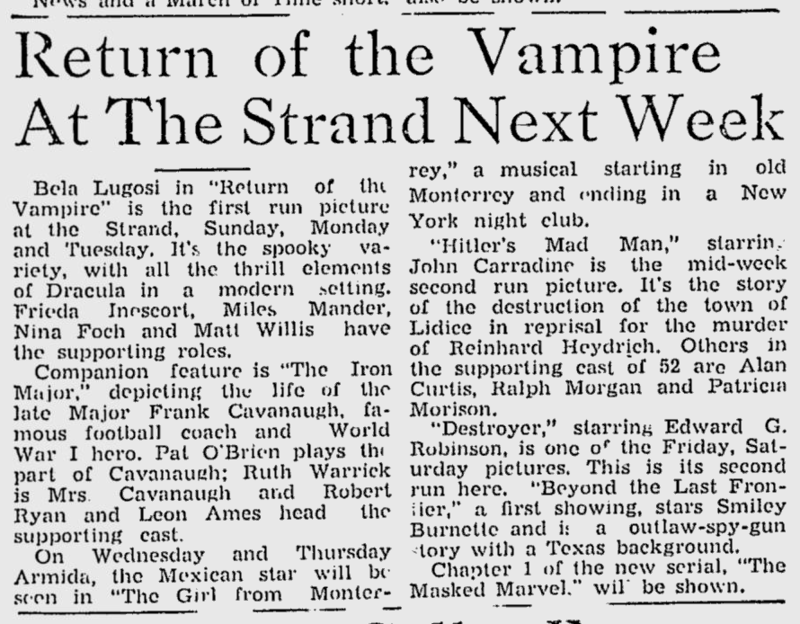 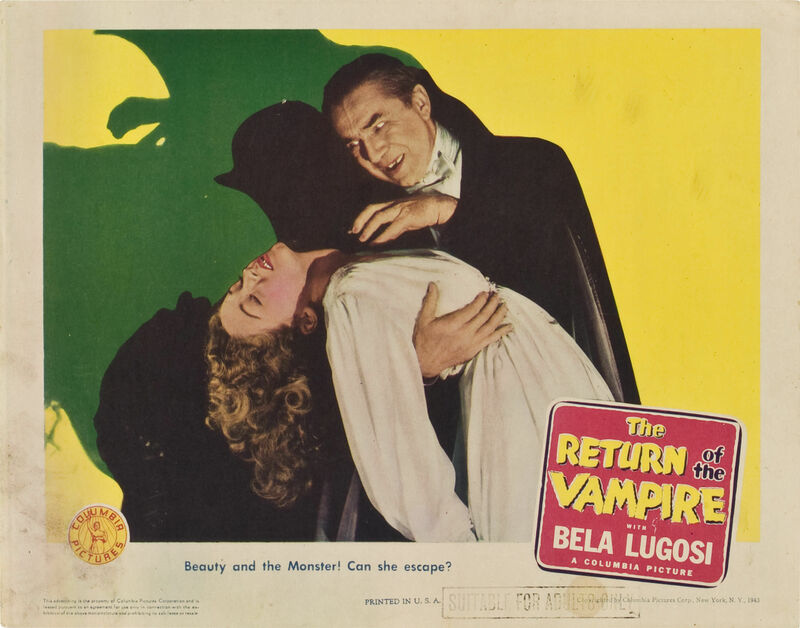 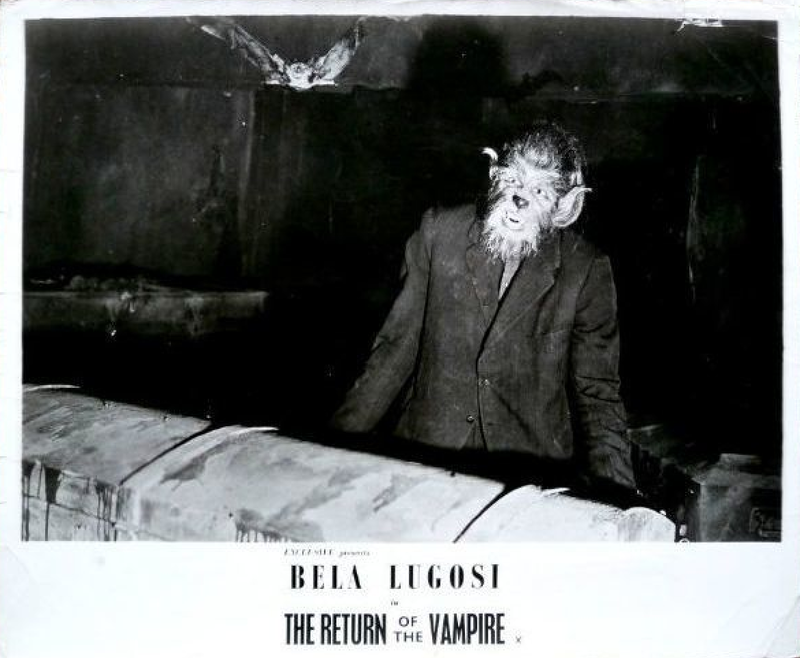 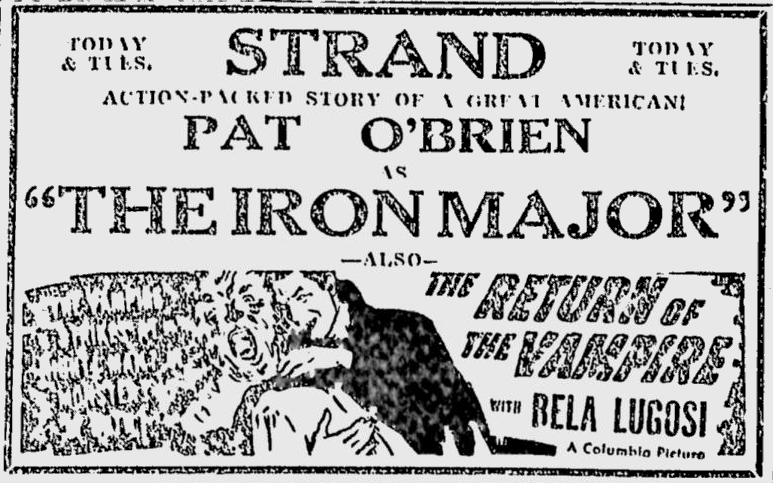 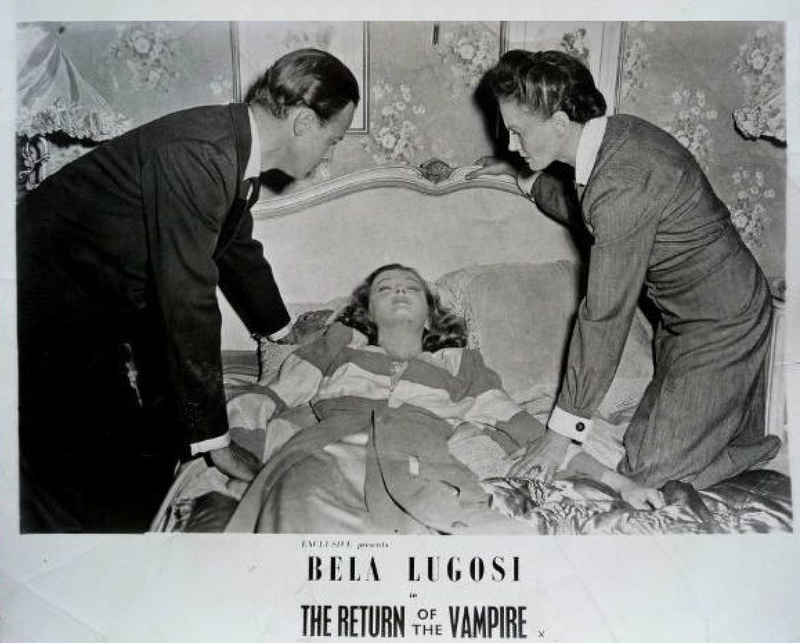 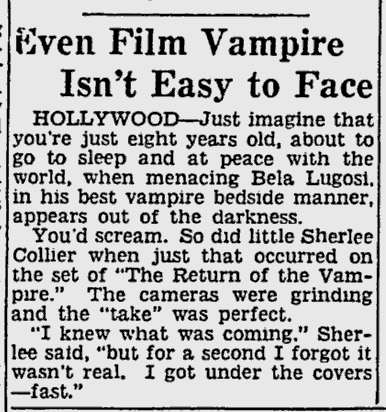 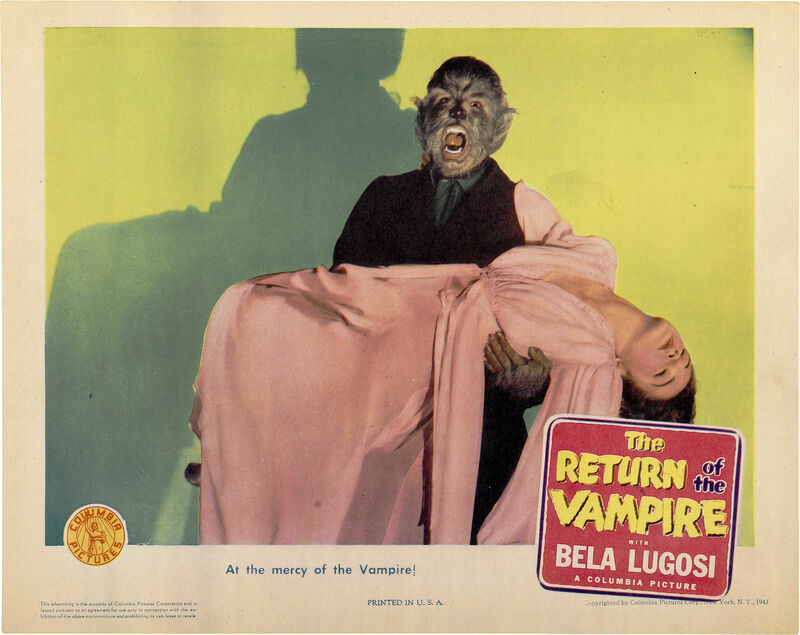 Need we say more about a picture called “The Return of the Vampire” than just that—plus the fact that Columbia made it and it opened at the Rialto yesterday? 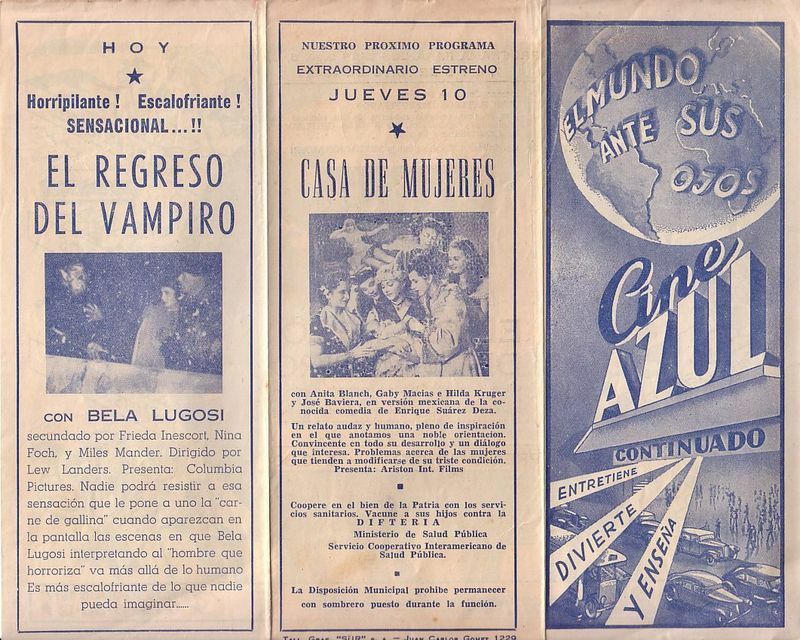 Are you still interested? 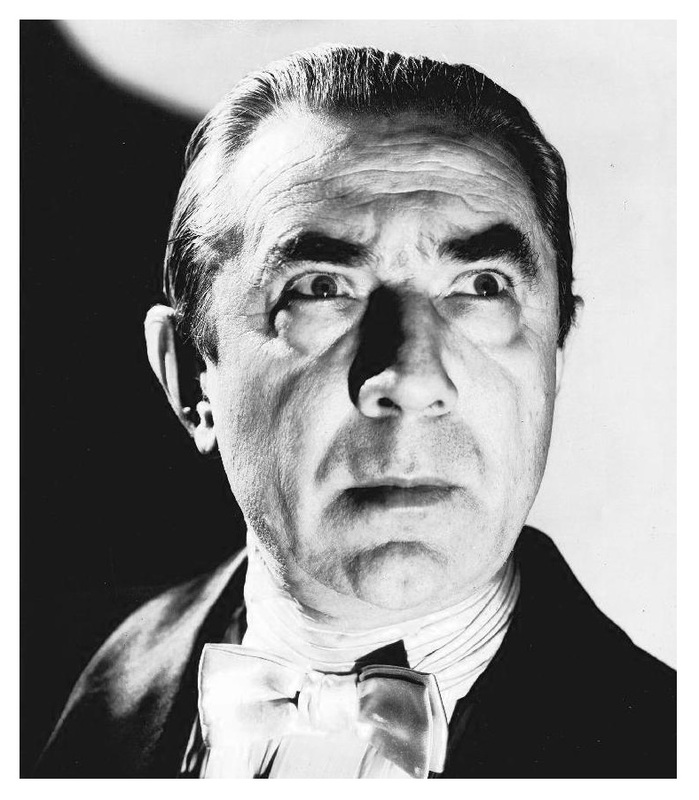 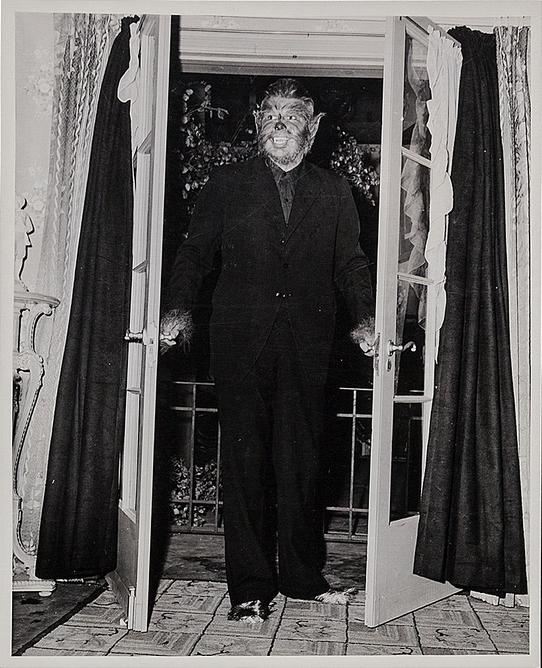 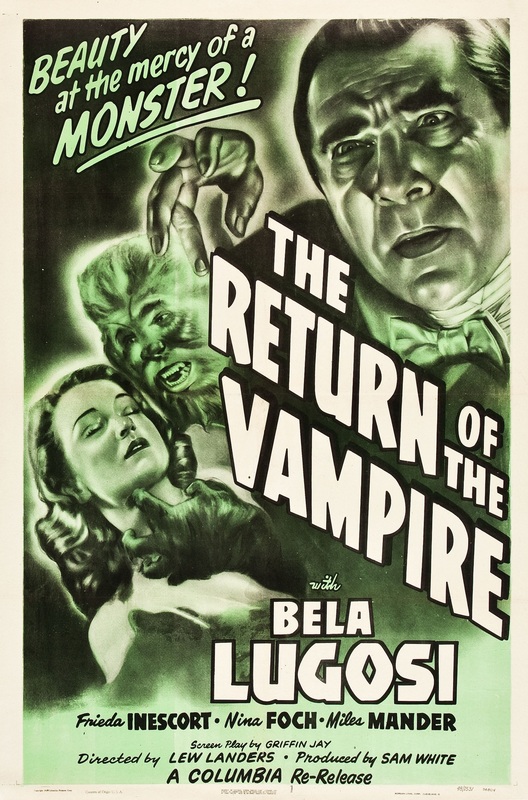 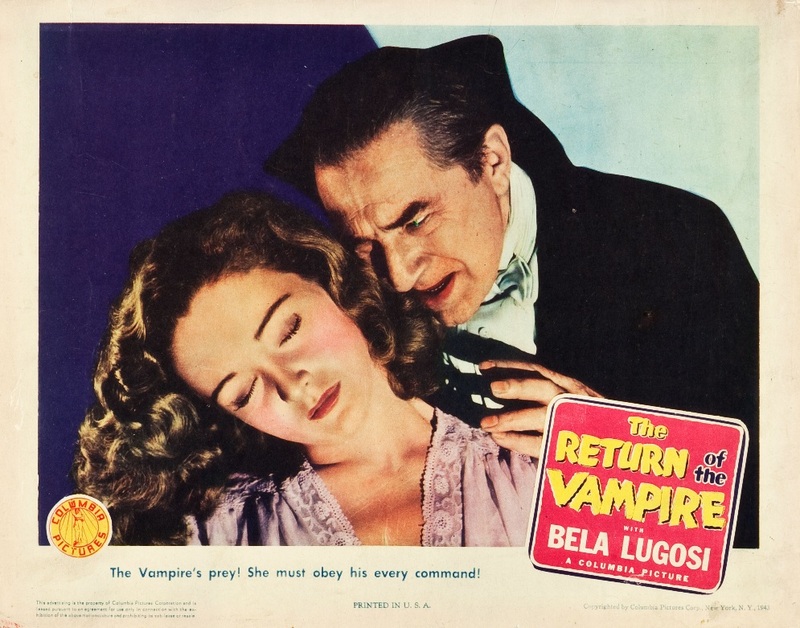 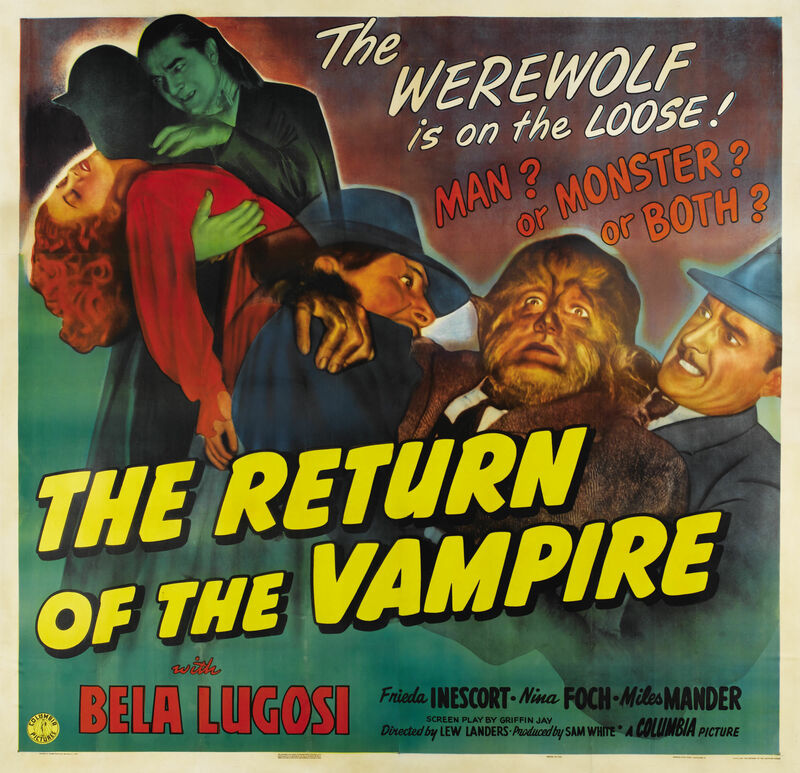 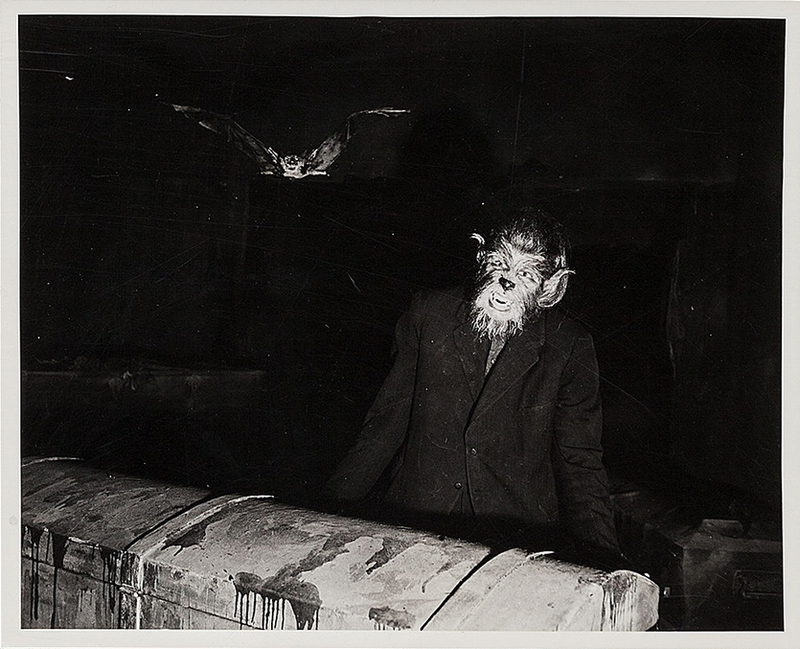 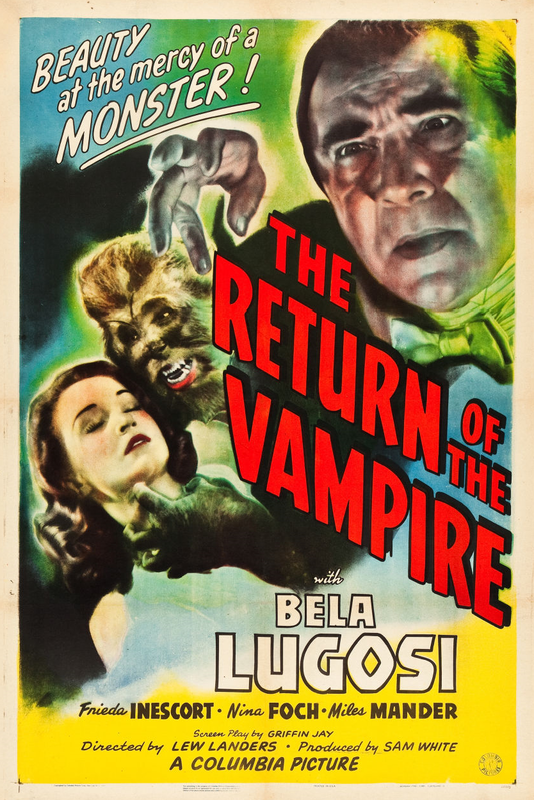 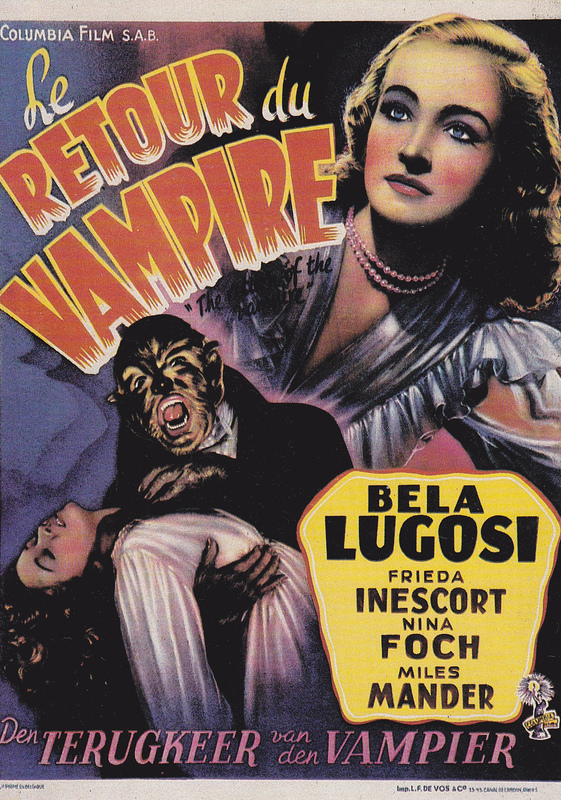 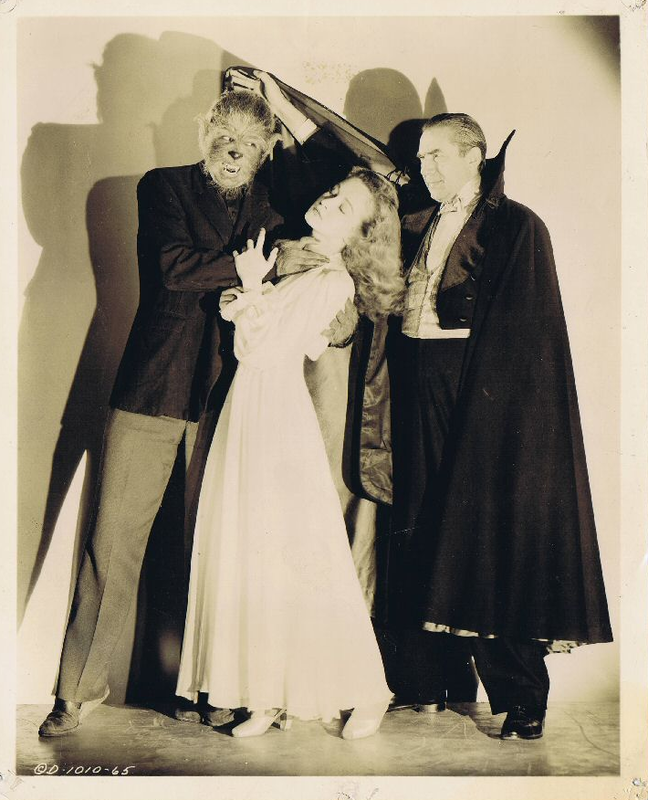 All right, we’ll tell you that Bela Lugosi rises again from the grave to go about sucking transfusions from the throat of a beautiful girl in the dark of night, while mists rise around the English mansion and dogs howl mournfully on the hill. 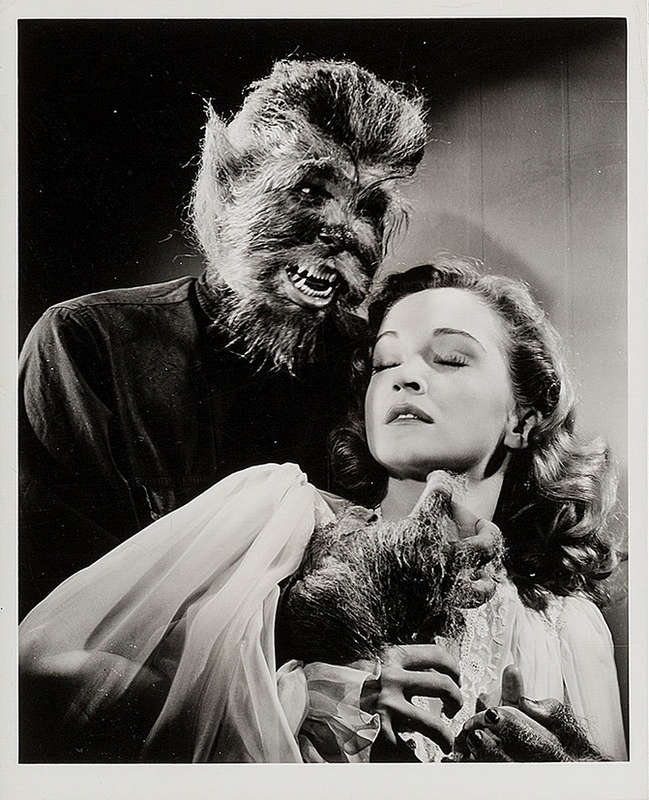 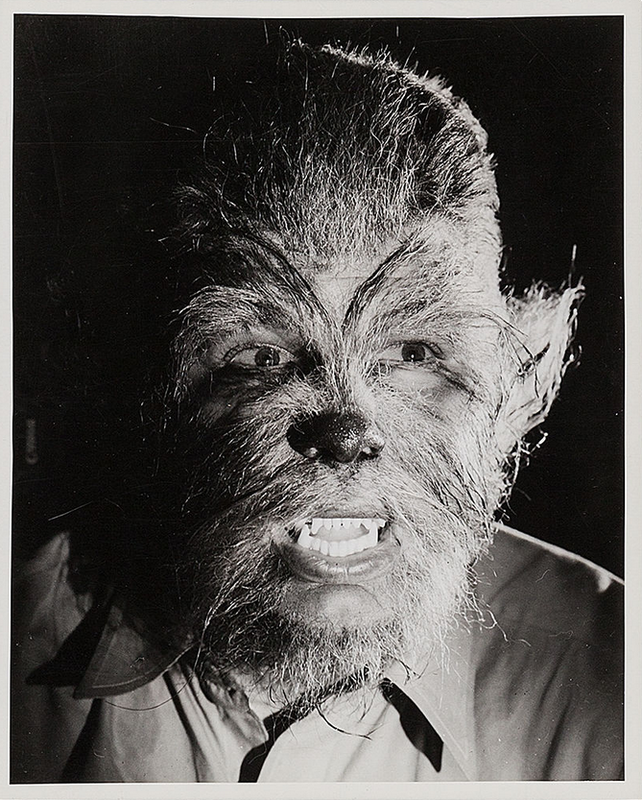 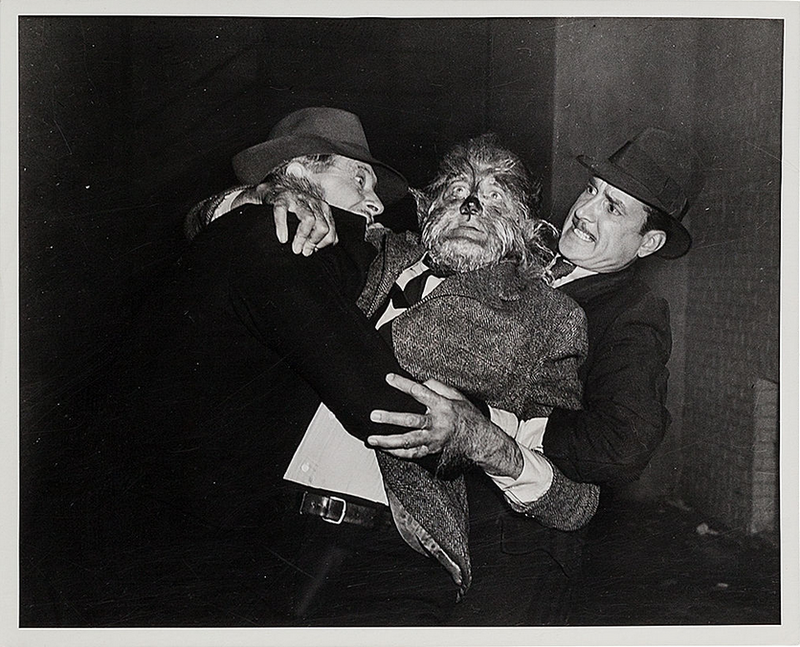 But his accomplice, a hairy-faced man-beast (Matt Willis) proves his undoing in the end. 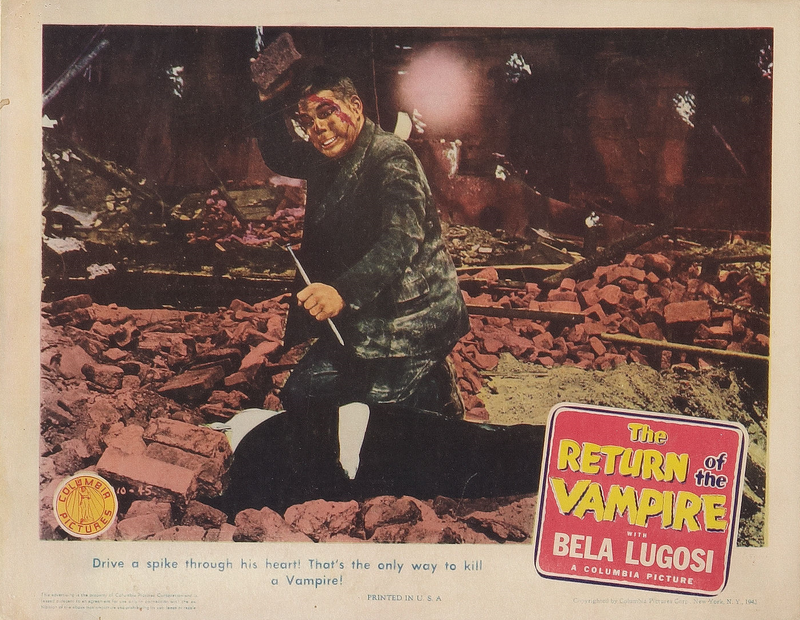 This monster gets religion or something and turns the vampire into dust with a crucifix. 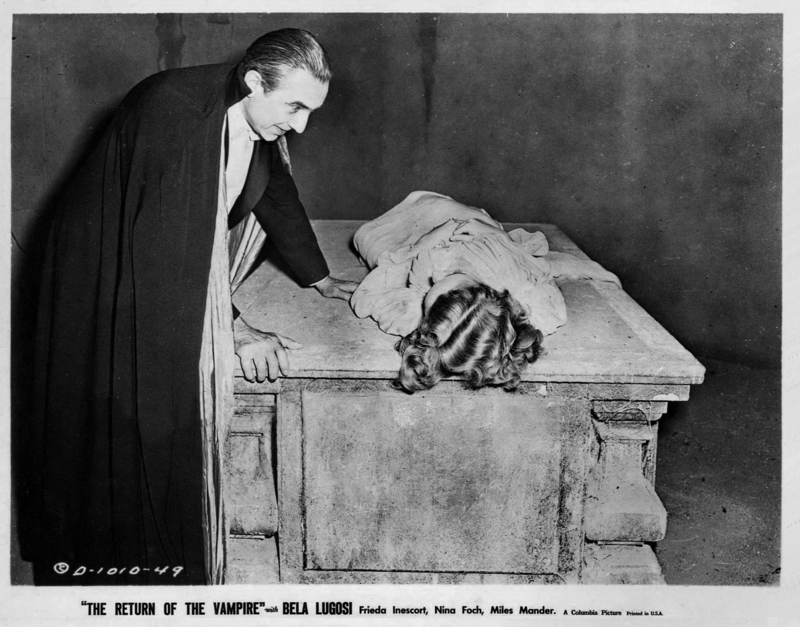 Thus the forces of good triumph over evil and we all can feel much better—until next time. 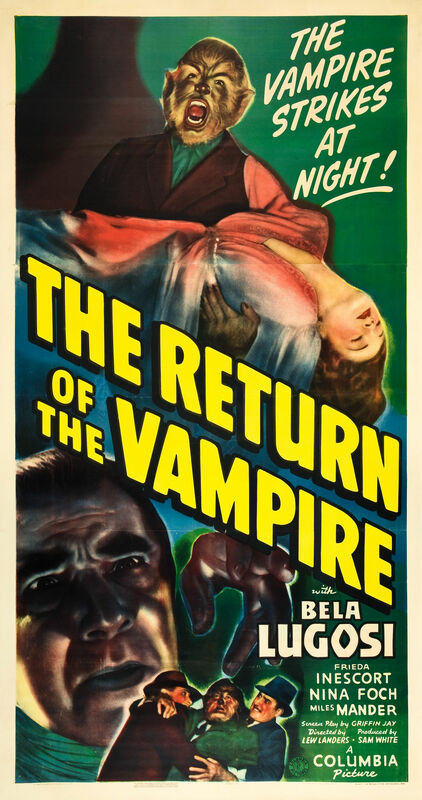 THE RETURN OF THE VAMPIRE; screen play by Griffin Jay; additional dialogue by Randall Faye; based on an idea by Kurt Neumann; directed by Lew Landers; produced by Sam White for Columbia Pictures. 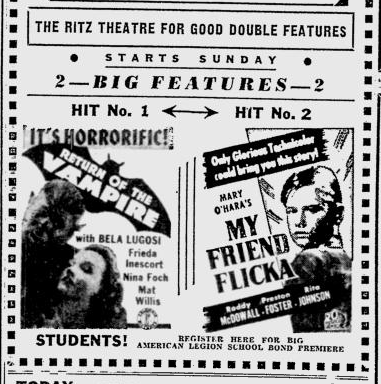 At the Rialto.